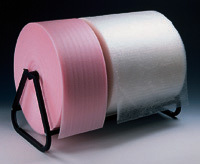 Convenient and easy-to-use bags on a roll provide extra protection for fragile or delicate items. 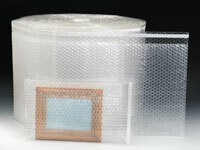 Bags have third web bubble protection where one layer of bubble is between two layers of poly providing easy insertion of products. Outstanding resistance to punctures and tears. Bags have 1 1/2" lip and self-sealing closure.